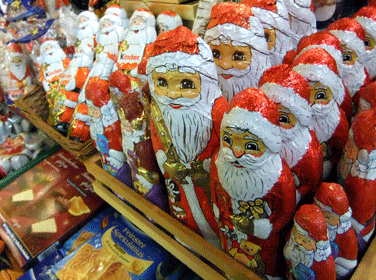 This is a wonderful reminder that one must stop on Rt 1 and smell the marzipan! 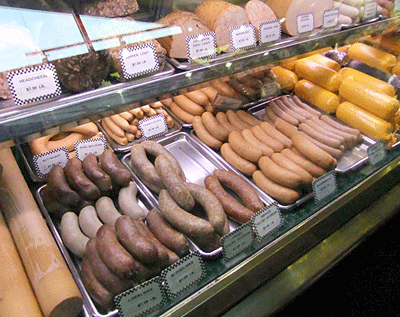 – or the wurst. I hadn’t been there in years, and now I know they sell cloudberries? Thanks, girls! 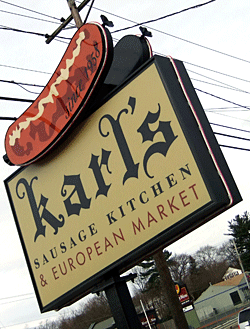 I love Karl’s – a huge fan of their triple-smoked bacon for use in chowders and baked beans. 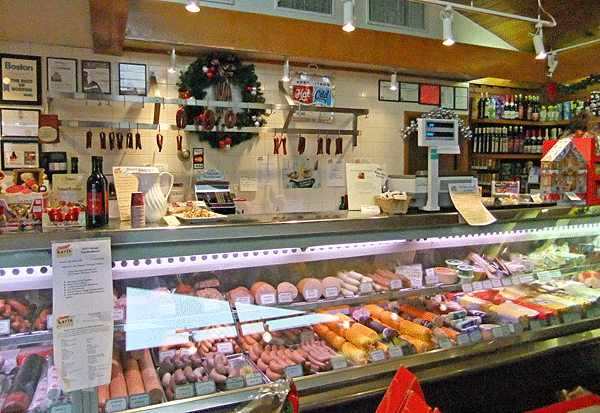 Liverwurst is great as is the black ham. Finally, I really like the kraut they sell – it’s in vacuum-sealed yellow pouches. Great for choucroute garni or on a hot dog.